If you want to fly an interchangeable-lens camera on a DJI Phantom-sized drone, Blackmagic has two options coming soon, the 1080p Micro Cinema Camera and the 4K Micro Studio Camera. 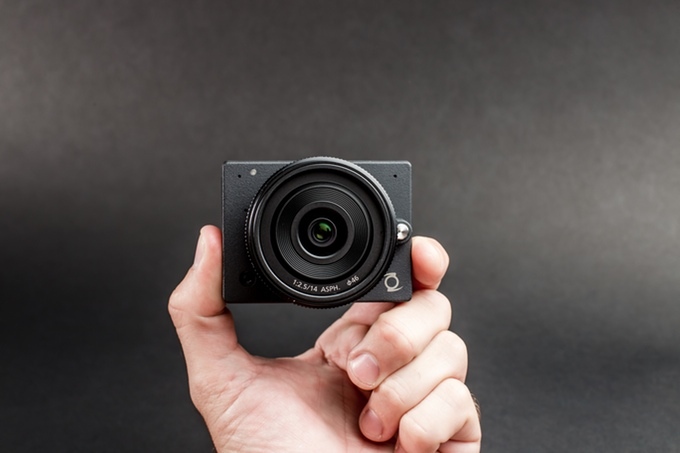 Now there's another one -- the E1, a Micro Four Thirds (MFT) interchangeable-lens camera small enough replace a GoPro in many cases. There is a catch, however. The company that's building it (Z Camera) is a startup and the camera is launching on Kickstarter, making any purchase a roll of the dice. However, it is fully funded and being produced in cooperation with Panasonic, which built the 4K sensor and is supplying the bundled 14mm f/2.5 lens. It weighs more than twice a GoPro Hero 4 (about half a pound), but if equipped with a small enough lens, you could still hoist it with a mainstream drone like the DJI Phantom 3. The company claims the E1 will deliver a noise-free image up to 6,400 ISO, with 10-11 stops of dynamic range, and shoot widescreen 4K (4,096 x 2,160) at 24fps, UltraHD at 30fps, 1080p at 60fps and 720P at 120fps. It'll also capture 16-megapixel RAW and JPEG stills. A smartphone app (Android or iOS) lets you power it on and stream video via WiFi or Bluetooth 4.0. The camera supports continuous autofocus and manual focusing, though the company didn't say if you can focus using the smartphone app. There's also no mention of stabilization, meaning a decent gimbal is likely a must. If you're keen and brave, you can order one for $599 (body only) or $799 with the aforementioned 14mm f/2.5 Panasonic lens. Following the Kickstarter launch, it'll cost $699 for the body only. As mentioned, Z Camera has gained nearly $150,000 in pledges, well over the $42,000 goal. That means you're committed to buying one if you chip in, but assuming it ships and works as advertised, you'd definitely get more professional-looking drone footage. Update: As several commenters pointed out on Facebook, Blackmagic Design also has its Micro Studio Camera 4K that will do the same job as the E1 for $899 or so.